Lyndsay Womersley’s reputation as an artist has grown since 1980, having staged many successful solo and group exhibitions and his work is exhibited in many private and public collections, both in Australia and overseas. Lindsay Womersley was born in Melbourne in 1941 and graduated from Swinburne College. 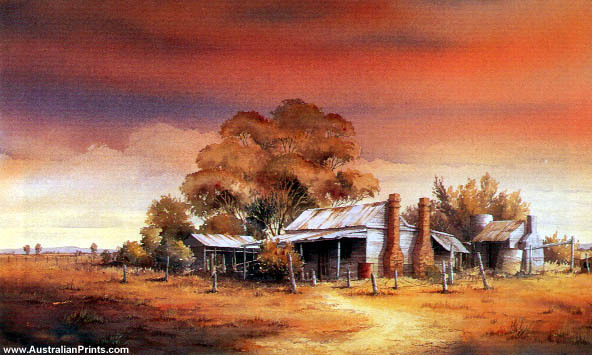 He is a qualified art teacher and has been painting and teaching for around 30 years. Inspiration has been gained from historical buildings around central Victoria and from extensive outback excursions. The love and understanding of these subjects is evident in his work. Lindsay believes that in a country too intent on destroying its rural heritage, the unique character of our pioneer days must be preserved. 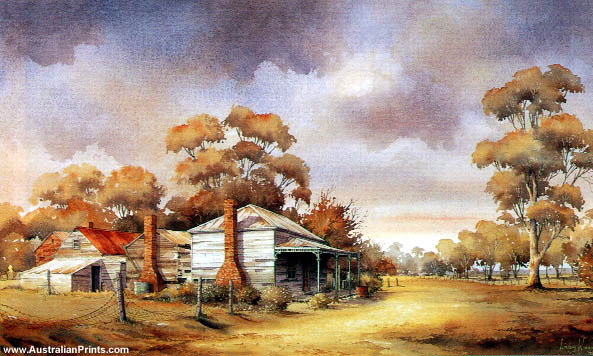 Lindsay, who lives at Maldon, is one of central and northern Victoria’s best known watercolourists. His reputation as an artist has grown since 1980, having staged many successful solo and group exhibitions. His work is exhibited in many private and public collections, both in Australia and overseas. Artist information page for Lyndsay Womersley.